Amazon GameLift offers both On-Demand and Spot instances. With Spot instances you get the same high-performance hardware as On-Demand instances at savings up to 90%. You can achieve these savings while maintaining high game server availability with the use of FleetIQ, a feature that places new game sessions on game servers based on player latencies, instance prices, and Spot interruption rates. Learn more about using FleetIQ and Spot instances. The following tables display the hourly Spot and On-Demand prices for each region and instance type (updated every 5 minutes). Except as otherwise noted, our prices are exclusive of applicable taxes and duties, including VAT and applicable sales tax. For customers with a Japanese billing address, use is subject to Japanese Consumption Tax. Learn more. You are charged data transfer fees for traffic between your game servers and your game clients. Inbound data transfer is free. For outbound data transfer rates to other AWS services and regions, visit the Data Transfer Rates. Contact us for pricing for data transfer greater than 500 TB / month. 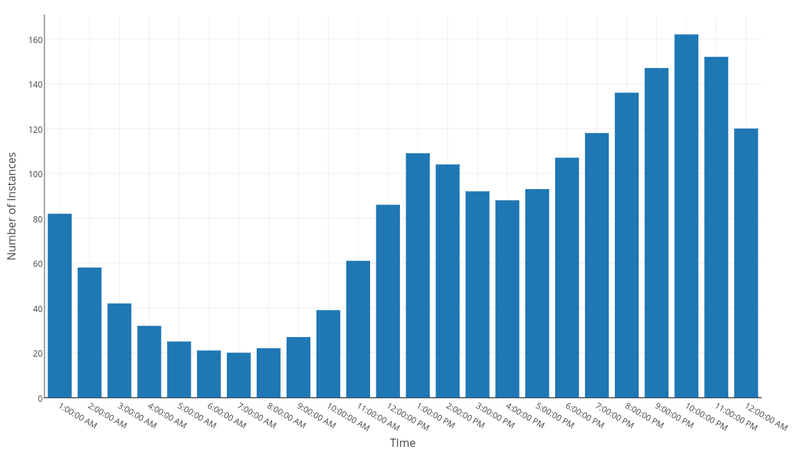 This example uses a typical hourly player demand pattern for multiplayer games to illustrate Amazon GameLift pricing. In this example, we’ll assume that your game launches in Japan and attracts 10,000 players. 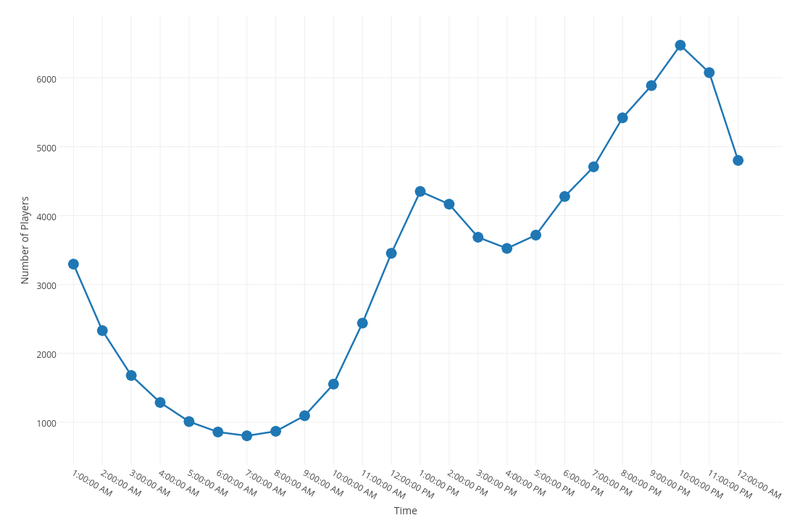 As shown below, the number of concurrent players follows a typical usage pattern. If you chose to use On-Demand instances, you would have been charged $0.311 per instance hour - the On-Demand price for an Amazon GameLift c4.xlarge instance running Linux in the Asia Pacific (Tokyo) region. Your total daily usage of 1,944 hours at $0.311 per hour sums to $605 per day, or $18,150 over a 30-day month. If instead, you chose to use Spot instances, prices for your instances would have fluctuated throughout the day – but a good rule of thumb is that Spot instances running Linux are on average 70% cheaper than the same On-Demand instances. If you did see a 70% savings, your costs would be $181 per day, or $5,430 over a 30-day month. If Amazon GameLift didn’t offer Auto-Scaling, but instead required you to pay for servers that run continuously all month, then your instance fees would have been $1,209 per day ($0.311 * 162 instances * 24 hours) or $36,270 over a 30-day month. With Auto-Scaling, On-Demand instances would have saved you $18,120 per month, a 50% reduction over servers that run continuously all month, and Spot instances would have saved you $30,840 per month, an 85% reduction over servers that run continuously all month. We'll assume that the total amount of monthly data transfer in the AWS Asia Pacific (Tokyo) region from all of your game servers to your game clients is 49.82 terabytes per month. Based on standard Data Transfer rates in the AWS Asia Pacific (Tokyo) region, your cost for 49.82 terabytes of data transfer is $6,776 per month. In addition to Amazon GameLift, Amazon offers a growing selection of cross-platform building blocks for game developers. Whether we’re helping developers unlock the power of the cloud with Amazon Web Services, build the next global blockbuster with the Amazon Lumberyard game engine, or connect a massive community of players with Twitch, we work tirelessly to help teams focus on their creative vision, not their infrastructure. We're just getting started with Amazon GameLift. To stay in touch with Amazon's growing selection of cross-platform building blocks for game developers, sign up for the Amazon GameDev newsletter, or follow @Amazon GameLift on Twitter and Facebook.